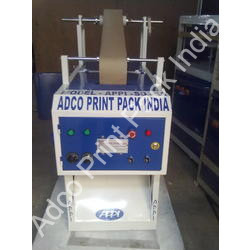 We are the Prominent & Leading Manufacturer and Exporter from Faridabad, we offer Paper Plate Making machines such as Hydraulic Paper Plate Making Machine and Semi Automatic Single Plate Making Machines. 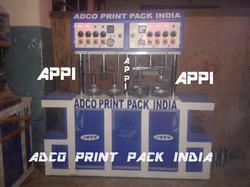 Our clients can avail from us a comprehensive range of paper plate machine like Disposable Plate Making Machines. These machines offered by us are developed utilizing superior-grade material, which is sourced from trustworthy vendors of the market. These automatic paper plate machines are checked stringently to maintain its authenticity throughout the manufacturing process. The offered range of disposable paper machinery is highly appreciated among the clients for making 10 plates in a single stroke. 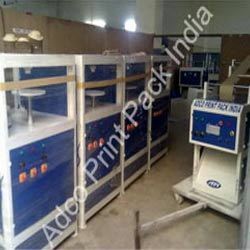 We provide several other kinds of paper plate manufacturing machines, paper plate machinery and low cost paper plate making machines in Delhi. 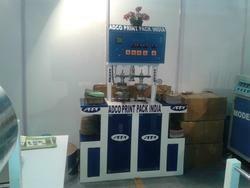 All the machines delivered by us are low cost paper plate making machine compared to all our competitors in the market. The paper plate machine price vary according to their specifications. •We can make a to z product range in this machine . This machine is uniquely designed to work on the digital mechanism. Digital meter allows you to have full control on the machine settings and operations .The mode of operation can be switched to semi automatic ,automatic and full automatic. You can set the speed of operation (no. of strokes /min. )as per your requirement. The machine also allows you to cut the paper in any shape (i.e. round, square, rectangle or leaf) and size. 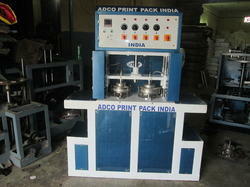 We can make A to Z Product Range in this machine. First Time In The World :- Production Of 5000 Bowls In 1 Hour. With the backing up of our proficient personnel, we are offering a versatile range of Fully Automatic Dona Making Machines. These products are made utilizing top notch raw material, which is sourced from dependable vendors of the market. Furthermore, these fully automatic dona making machines are applauded in the market for their optimum quality, functionality and dimensional accuracy features. · This is a Manual Machine. · 10-20 pieces of cups is made in a single stroke. We have to place the round paper on the machine(10-20 pieces at a time), press the handle and the finished product would be ready & come out automatically. 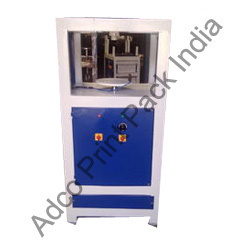 In order to offer an unparalleled range of superior range of Semi Automatic Single Die Dona & Plate Making Machine. The products manufactured by us are designed by commendable personnel, which is utilizing superior grade material, which is suitably procured from dependable vendors. 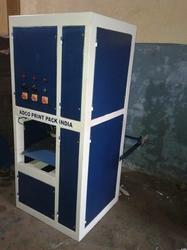 These Automatic Paper Plate Machines works automatically and one man is required to put paper on to the mold and hence picking the finished products. In addition to this, the offered machines are widely acclaimed for making 10 plates in a single stroke. The Paper Plate Raw Material fed to these machines must be of high quality. These machines are part of Paper Plate Making Machinery. Our domain expertise has enabled us to offer a precision engineered range of Semi Automatic Dona Making Machines. The machines offered by us require only two men for putting the paper on both the working stations and for picking the final product. The rest procedure is performed automatically. The mold can be changed as per the requirements of the clients. Kangura type and meal plate can also be made in these machines.